Discussion in 'iPhone and iPad Games' started by ojtitus, Oct 23, 2014. This is a 32 bit app. You will always be able to play this app on iOS 10.3 or older but Apple may remove support for 32 bit apps in future iOS updates. Sequel to its genre-busting predecessor, Battle Academy 2 moves the action east – to the bloodied plains of Mother Russia. When a gritty new look, great new features, and random mission generator meet battle-proven gameplay you can be sure of a strategy classic! Experience the brutal campaign from both sides as you play across 4 campaigns – as partisan, Tiger, T-34 and dozens of other accurately modeled units. See how the harsh weather of the steppes changed the course of the war. 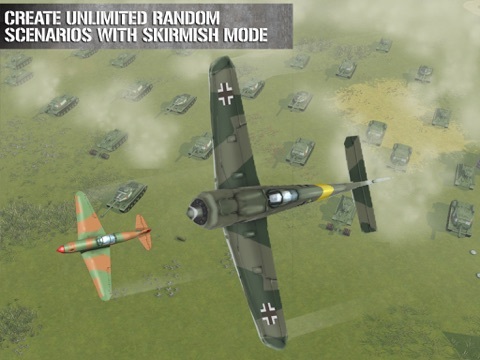 And after following the fortunes of the two sides you can then experience limitless battles with the brand new random skirmish feature. Customise your mission with the myriad settings before entering a unique and surprising battle every time. 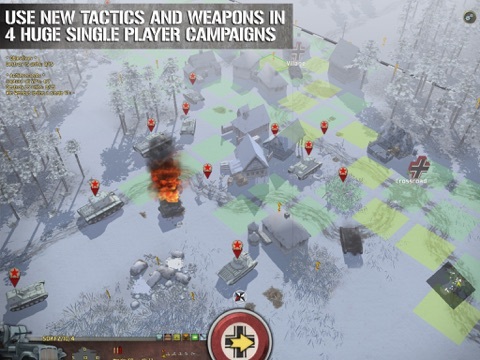 Add in the best-in-class Slitherine PBEM++ multiplayer system, redesigned editor, custom scripting, and Cooperative multiplayer to create a new strategy masterpiece. 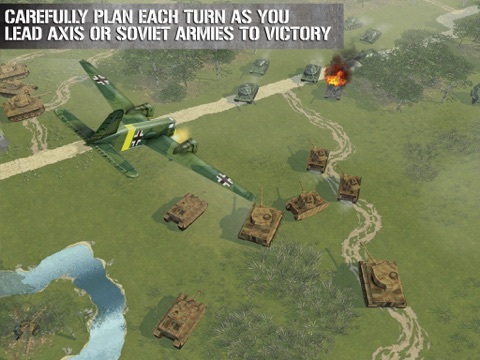 Features: Control both the Axis and Soviet forces in more than 30 missions across 4 single player campaigns and corresponding multiplayer missions. More than 130 units storm across the battlefield. Learn the hard lessons of the early war in Panzer III and BT-7, or feel the ground shake to fury of the Tiger, Panther, T-34 and IS-2. New gameplay features include smoke, infantry dash, fighter cover, partial damage, and trenches – along with a detailed combat model that’s second-to-none. 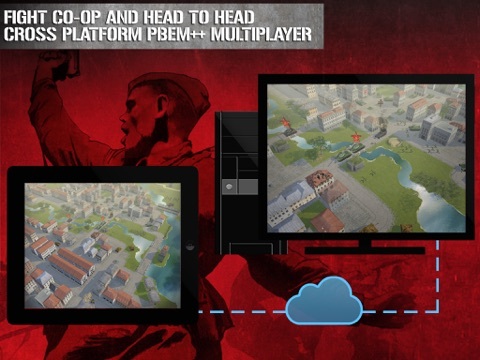 The seamless multiplayer experience has been expanded with the addition of cooperative support – can you and a friend work together to defeat the enemy? Anyone played this gem already? I did, and think is just great! Yep, it is even better than Battle Academy 1 ... I am playing this since the PC Beta and I still love it. How big is it after installation? Some more words, please! Why do you think it is not worth the asked price? It is an actual PC game and it costs on steam twice as much ... so what? Well worth the outlay. I have it on steam and iPad, plays well on both. It's not an arcade game, as most know, so some thinking is involved. If thinking ain't your forte, then, it's probably not for you. Plenty of other stuff out there. 10 out of 10 from me. Because this is iOS. Therefore anything over a dollar requires an apology from the developer. I consider a 50% launch sale an adequate apology. 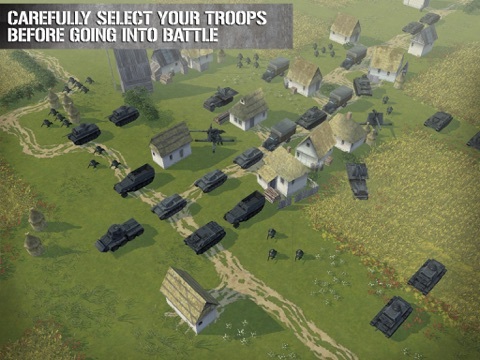 I have Battle Academy 1 on my ipad (great game). Can anyone tell me if there are any differences (improvements?) to the gameplay in BA2? I have never seen Slitherine ever cut prices on their games. I wouldn't be holding my breath. New features include smoke, infantry dash, fighter cover, partial damage, and trenches along with a detailed combat model thats second-to-none. In my opinion it is much better than the 1 part was ... and BA 1 is still a great game!